Love ~ noun, a feeling of strong or constant affection for a person: attraction that includes sexual desire : the strong affection felt by people who have a romantic relationship. Love is something that we should all want and have, the question is, once we obtain it how do maintain that attraction? We revisit this love in the second installment in this series called Love Changes. Stacey Jackson has graduated and now lives in Atlanta working for a very prestigious financial firm. Stacey is climbing the corporate ladder and her boss Kenny Parker is paying attention. The question is why is Kenny paying attention? Is it because of Stacey’s skills at work or is it because of her breath-taking beauty? Kenny knows of Stacey’s relationship with Ronnie but does he care is the question. Is this going to be an issue or will everything be just fine and business as usual? Ronnie Morgan Jr. has graduated from Howard University and has finished with his basketball career moving on successfully to his singing career with his friends Ced and Myles to create their singing group Entice. Things are going great until Ronnie’s ex-girlfriend Kim comes back into the picture. Kim has no shame when it comes to Ronnie and her love for him and she will do any and everything in her power to get him back. The one thing that she did not bank on is Stacey and what it will take to get her out of the picture. Is Kim up for this fight or will Stacey let Ronnie go without a fight. Is their love strong enough for this bump in the road? 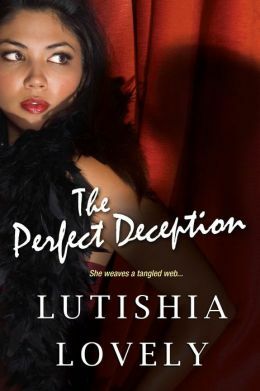 Love Changes is a feel good romance novel. Grimble has these characters interacting with each other like you are watching a movie. You can feel their emotions and understand what they are going through. It is like you are seeing a part of your own lives replayed. This could have been any of our story at any time and that is what makes this an excellent story, you can see yourself as the main character. I have enjoyed this series and I absolutely look forward to reading more from Grimble in the future. 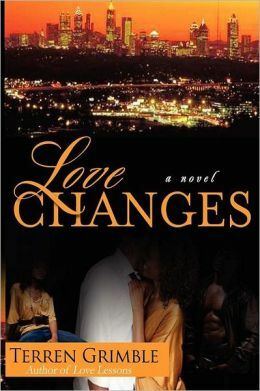 Love Changes can be purchased through Amazon.com (Paperback and Kindle), BN.com (Paperback only) and the author’s website: http://www.terrengrimble.net/.